Last week I shared the news of our new corporate marriage and moniker. This week, I’d like to open the door and invite you into the newest of our four offices. 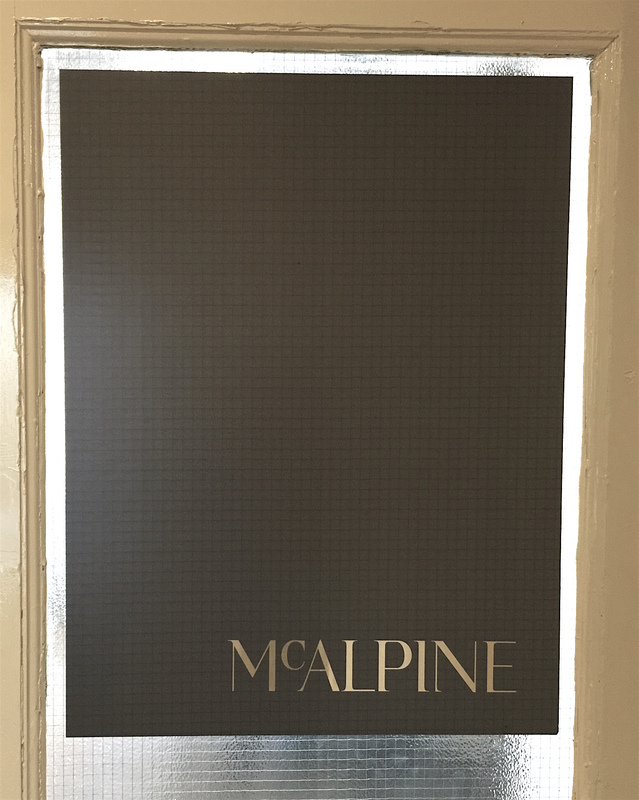 Welcome to the Manhattan office of McALPINE. 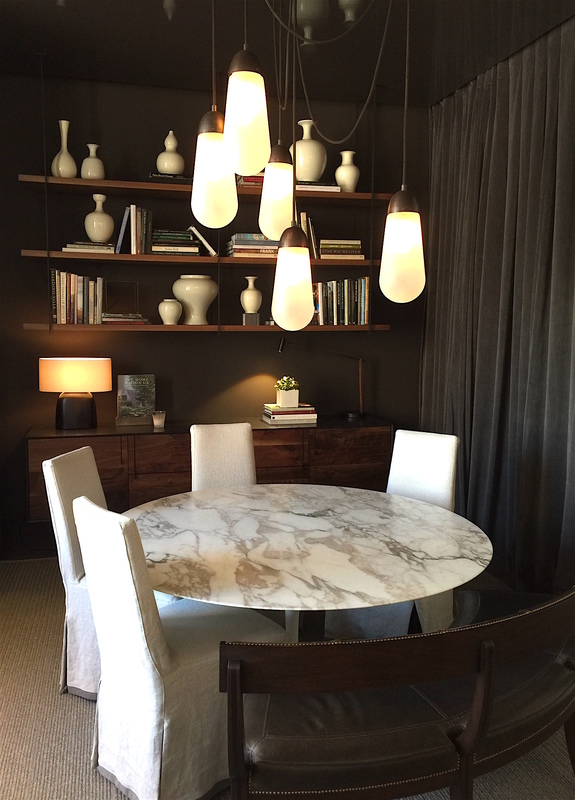 A bit of history of our Northern expansion – a little over four years ago, Ray Booth opened a NYC perch for our interiors business as he was spending part time there and part time at his Nashville helm and home. When I decided to leave my Montgomery, Alabama post and head North with a few of our younger (and thereby more portable) architectural staff members, we obviously needed more space – Ray’s office was a meager 400 square feet and our growing office of seven people simply wouldn’t fit. We’re close, but not that close. 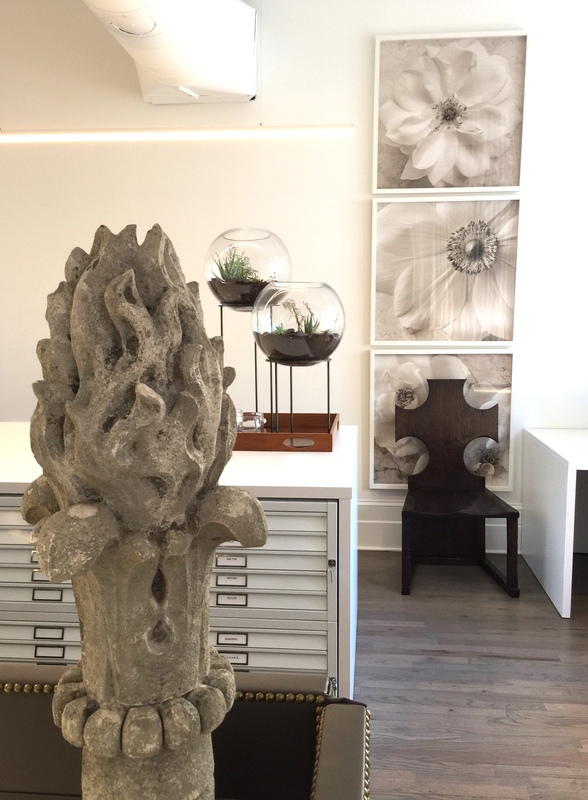 The office was located in the historic St. James Building in the tony Flatiron District. Ray and I both loved the location – and I couldn’t complain – it’s two blocks from my apartment! 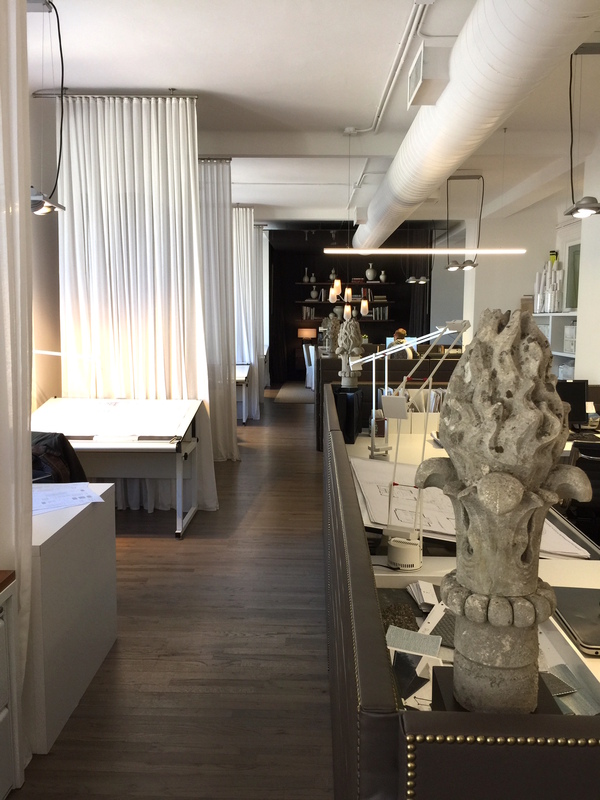 Also, with the nearby NoMad Hotel (interiors by Jacques Garcia), the Ace Hotel (interiors by Roman & Williams) and the newly announced Rizzoli bookstore right in the base of our building, the area seemed like Design Ground Zero. We began a search in our current building and, after a few disappointing viewings of those available, we came upon the perfect space. 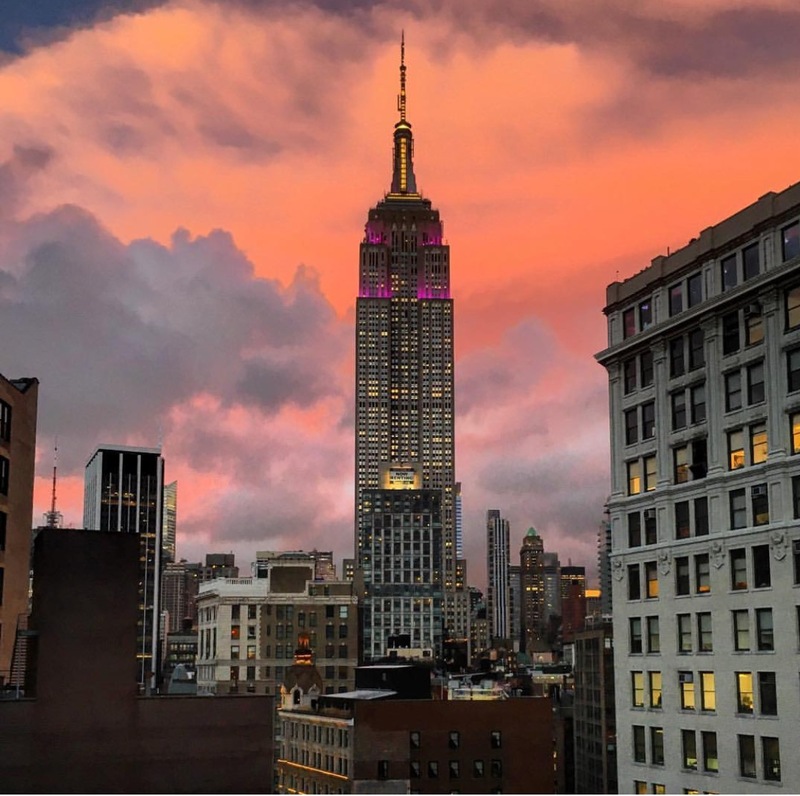 A long, slender space came available on the 14th floor with four expansive bay windows looking north directly at the Empire State Building. We all happily agreed – McALPINE had found its very first East Coast catbird seat. The St. James Building is located at 1133 Broadway (at West 26th Street). 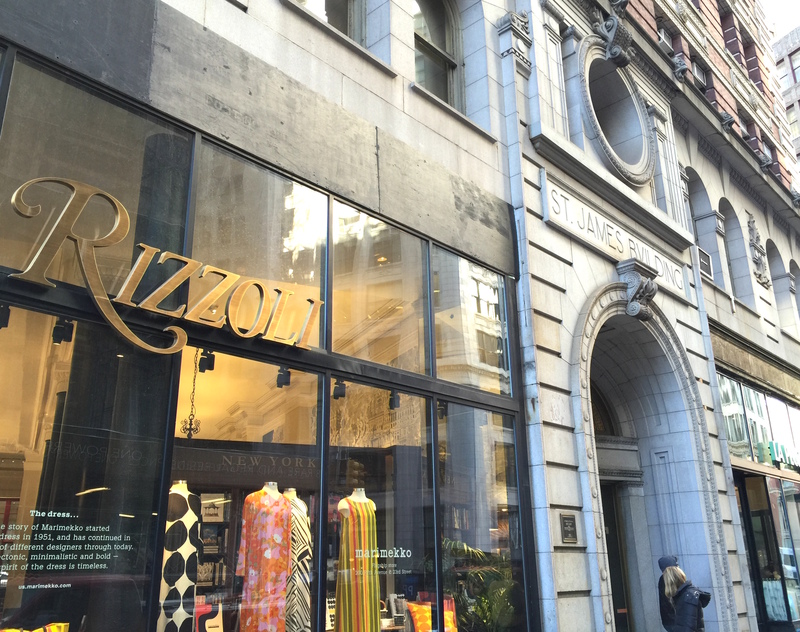 The esteemed Italian publishing house Rizzoli (coincidentally, the publisher of our books) opened their new store to the left of the building entrance soon after their old and beloved store was demolished uptown. 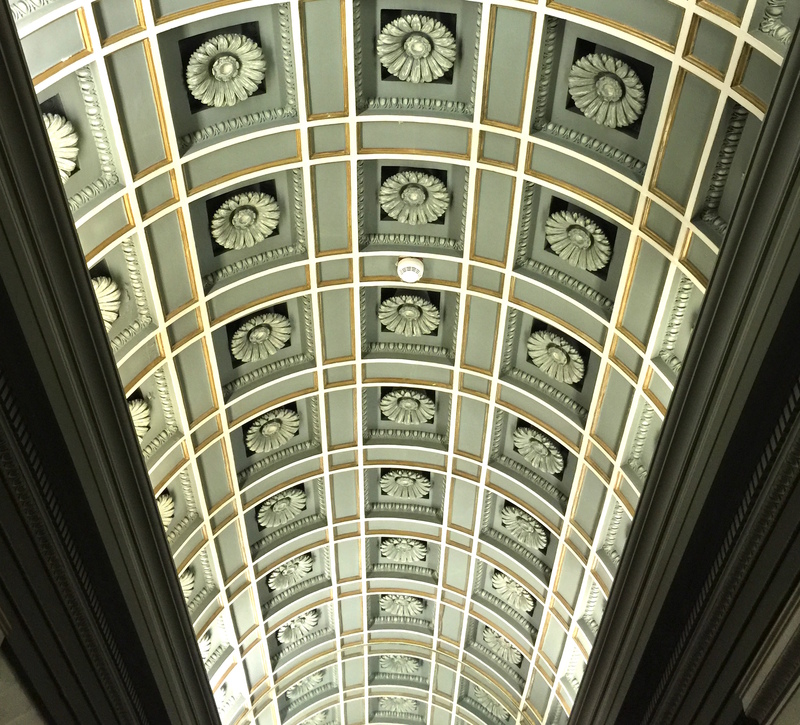 The elaborate plaster vaulted ceiling in the foyer of our building. 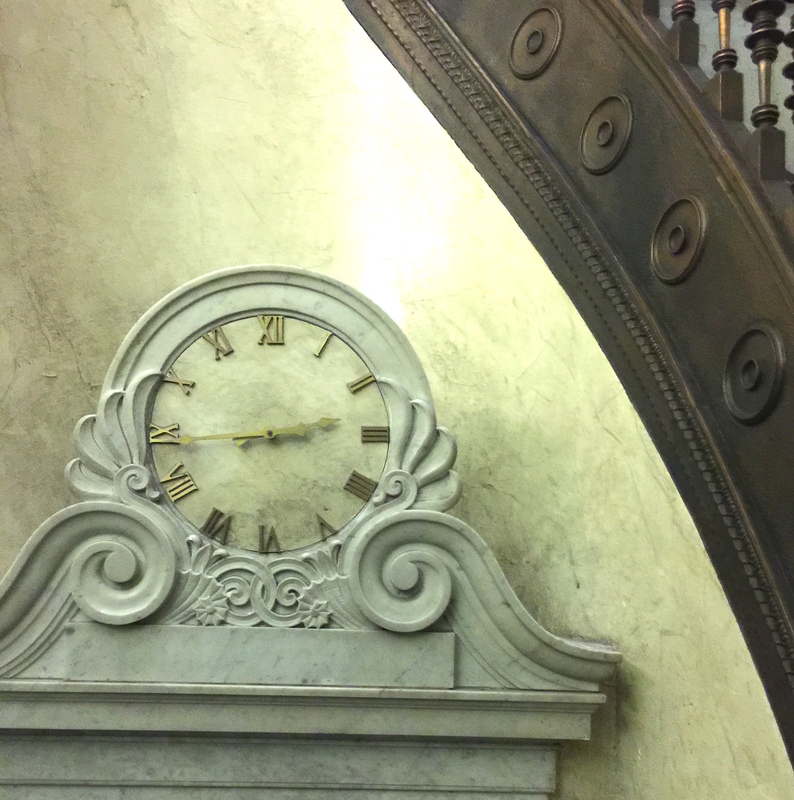 Another detail from the St. James Building’s foyer. The 19th century building was built as a luxury hotel, standing in one of New York’s wealthiest neighborhoods right across the street from the famed restaurant, Delmonico’s. Our new logo, fashioned in gilt, adorns our office entrance door. Upon entering, visitors are welcomed by our conference area. Note the lacquered ceiling panel that floats over the conference table – this along with the dark rear wall and mohair curtains create an emotion of intimacy in the otherwise white, open office. A view from the conference area into the rest of the office. 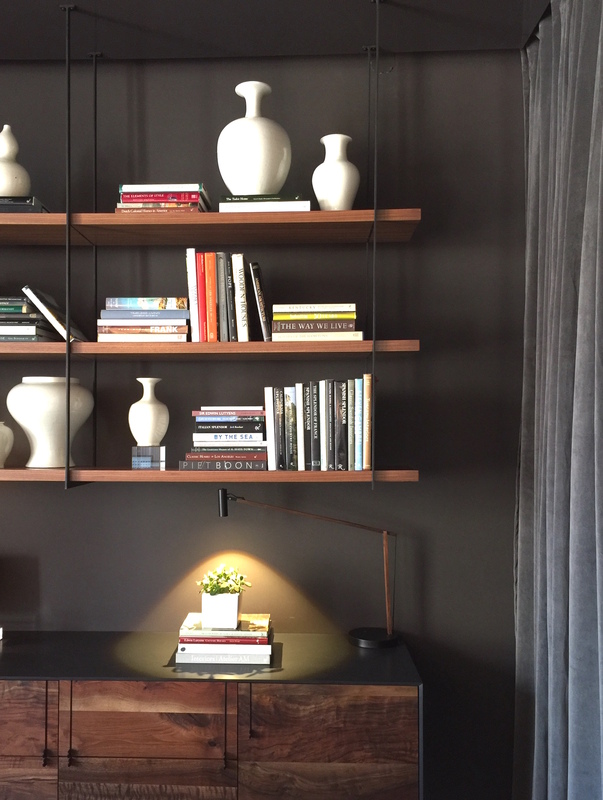 A detail of the suspended bookcase and credenza in the conference area. 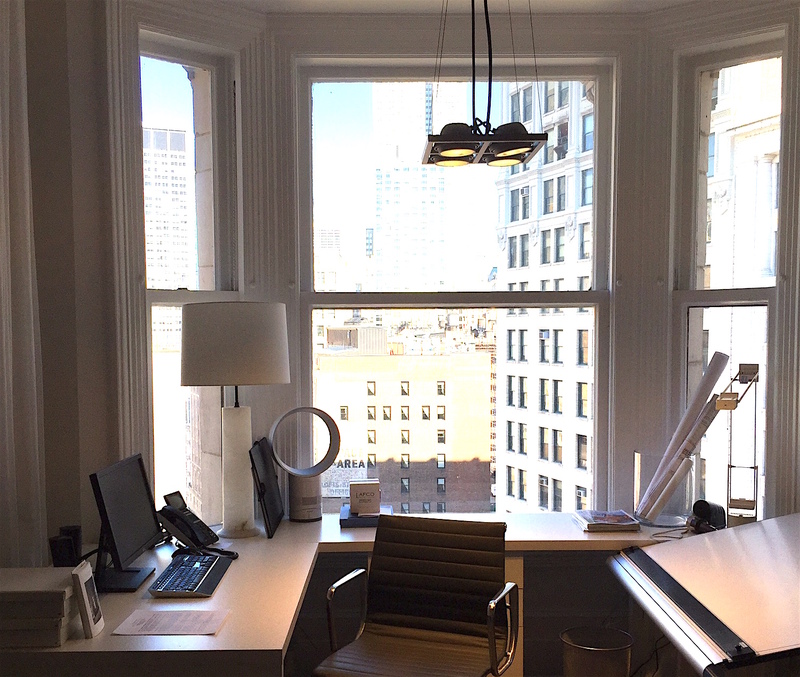 One of the bay window desks, outfitted with both computers and drafting boards! We bridge between old and new schools. Toward the rear of the office is where the “service area” is – flat files, copier, printers, etc. The vistas are nonetheless carefully and artfully composed. Beauty is always foremost, even in the menial. And finally, a view from the rear looking back toward the conference area and entrance. No this isn’t a postcard – it’s our daily view! This vista never fails to awe and inspire. ….and it just doesn’t get much better than this!! Looking at all of your projects always inspires an incredible creativity in me and I have to say,an amazing “Dream” life! I wish you all the best in your future expansions and look forward to viewing all your “Mouth-watering” projects.This is exciting! Fun to see this today Greg… Can I tell you how great it is to be working in the same office with you again!!! 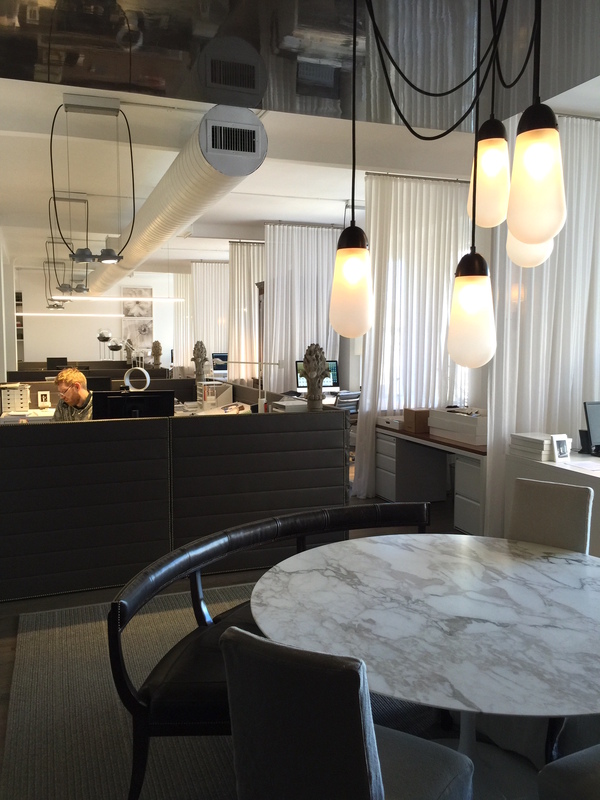 My very first architectural/Desigb office had you in it- love full circle!! Wow! How exciting, well done!! An impressive space befitting an impressive company – congratulations. BEAUTIFUL!!!!! Wishing you all great success in NY and much happiness. It’s beautiful but we expected no less. Congratulations!!! New York has been indelibly marked. Well done. When do I start? My admiration for your creative firm is beyond all that is reasonable.